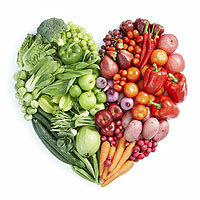 February isn’t just for Valentine’s Day; it is also National Heart Month. If you’ve already lost track of your New Year’s resolutions to lose weight and live a happier and healthier lifestyle, then this is your time to recommit. But this shouldn’t be done just to look better; heart disease is the leading cause of death among men and women in the United States. In fact, 1 in 4 deaths are caused by heart disease. 1 But there is good news. By making a few lifestyle changes, we can lower our risk for heart disease as we age. We often hear that consuming a heart healthy diet includes eating a variety of fruits and vegetables, avoiding unhealthy fats, and adding in lean poultry, fish and legumes into your diet (if tolerable). However, there are many choices and habits a person can make that will lead to living a heart friendly lifestyle. Physical activity is anything that gets you up and moving. If you like walking, try adding some hills or fast-paced intervals. If you like to dance, try a Zumba class. If you don’t know where to start, try a new class at your local recreation center. Remember to include strength training in your routine at least two times per week. Remember, everyone was a beginner at one time or another. Even though the recommendation is 30 minutes of activity per day, set a goal that is realistic and attainable for you. Don’t let an all-or-nothing mindset deter you from doing what you can do every day to get yourself to the healthiest you can be. The last component of managing your heart health is managing stress levels. Research is starting to show that stress may increase your risk for heart disease by increasing cholesterol levels and blood pressure levels, and may lead to unhealthy coping mechanisms, such as overeating, smoking and drinking. Finding effective stress management techniques isn’t just good for your heart, but it is good for your overall health and well-being, and for those around you. It is important to find coping mechanisms that work best for you. This can include meditation, yoga, tai-chi, exercising, deep breathing, exploring nature and/or having a strong social network. If you notice your stress levels are getting a bit difficult to manage, make sure to reach out to a professional who can help you. By taking a holistic approach to managing your health, you can minimize your risks for long-term health problems. It is never too late to start and do what’s best for you and your family. Aim for consistency and find what brings you joy. Lastly, it’s about balance. Pay attention to your body and give it the love, time and attention it deserves. Remember, being healthy means being strong for yourself and everyone’s life that you influence. American Heart Association Recommendations for Physical Activity in Adults. http://www.heart.org/HEARTORG/HealthyLiving/PhysicalActivity/FitnessBasics/American-Heart-Association-Recommendations-for-Physical-Activity-in-Adults_UCM_307976_Article.jsp#.WIPoyRsrI2w. Accessed January 21, 2017. Exercise: How much do I need every day? Mayo Clinic. http://www.mayoclinic.org/healthy-lifestyle/fitness/expert-answers/exercise/faq-20057916. Accessed January 23, 2017. Drenowatz C, Sui X, Fritz S, et. al. The association between resistance exercise and cardiovascular disease risk in women. J Sci Med Sport. 2015; 18(6): 632-636. doi:10.1016/j.jsams.2014.09.009.